Decisions can be like car accidents, sudden and full of consequences. Eighteen months ago, my son drove into an intersection just as the traffic lights turned against him. Another driver, waiting on the red light, jumped the queue. She passed a line of stationary vehicles and entered the intersection, just as the light turned green. The accident was like colliding curling stones, but the subsequent rollover injured my son. Both drivers committed errors in judgement to varying degrees. However, my son survived with minor whiplash and flashbacks. He says: “It happened! I have to cope.” The other driver was uninjured. As we become more dependent on technology, the possibility of harm from our metal servants increases. Thus, when large masses and high speed contribute to a collision, the consequences can be huge. For example, just one year ago, the Humboldt bus crash involved the collision of a semi-trailer and a bus carrying a hockey team to a playoff game. The collision resulted in multiple deaths and severe injuries. The interaction of two large masses at high speed resulted in serious injuries and many deaths. Last summer the deadly Camp Fire in California, caused 85 fatalities, injuries to seventeen, and $16.5B USD in damage. Three people are still missing. Investigators identified PG&E as the cause of many of the wildfires. PG&E had many worn and ageing transmission towers. These assets failed and sparked the deadly wildfires. Thus, PG&E’s negligence led to poor performance that threatened customers and staff. Two other factors contributed to the losses. The fire zone was very populated and vegetation and trees surrounded these zones. Dead vegetation fed the blaze. I grew up with sisters. We played games and competed. Thus, one of us was always running to “tell Mom” how the other “cheated”. We never outgrow the need to appeal for help. The need to attribute blame is a human obsession. As a result, we have investigative agencies to conduct forensic research into failures and we developed legal systems to assign blame and punishment. Children everywhere often proclaim, “It’s not fair!”. From my son’s point of view, the result of his collision was not “fair” as he gained more debt and ongoing physical pain. As a practitioner in risk management, I see the parallels between climate change risk and collisions. 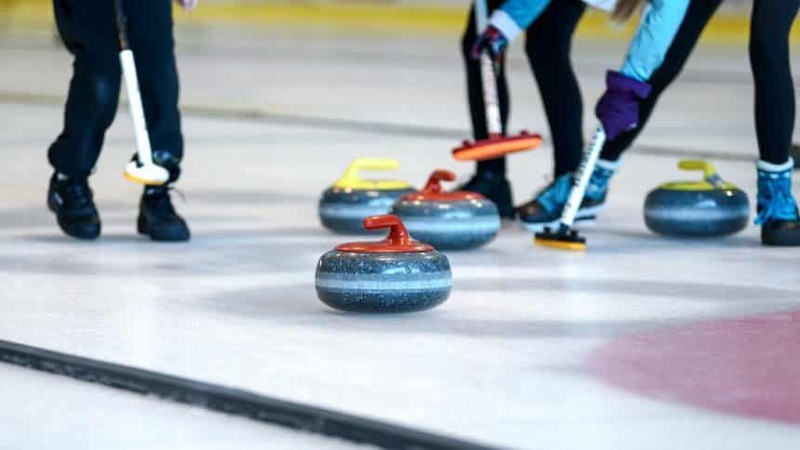 Hence, just like a bad toss of the curling stone can cost the game, the increasing pressures of climate change causes more storms and more severe storm events, with potentially devastating outcomes. Thus, we are seeing more impacts from ever more violent collisions between our weather and our infrastructure. The consequences of climate change took decades to unfold. Our ancestors took actions with impacts that continue to this day. Cheap fuel drove progress and often meant life or death, stagnation or growth. But, these fuels also contribute to greenhouse gas emissions and drive climate change. As my sisters said, “It’s not fair!” Even good decisions can lead to unintended consequences. Just like stopping a speeding train requires time and distance, we cannot simply stop using fossil fuels. We live in a carbon-dependent society and reducing our fossil fuel use will require many small steps. Therefore, we must put the breaks on now. Thus, achieving zero wildfire status or total safety from climate events needs many difficult decisions involving how we live our lives, where we live, and how we use our resources. Accidents and disasters have many outcomes and return to pre-disaster conditions may be impossible. Thus, we may only achieve a new normal; one the includes the aftereffects of the event. Consequently, whether it be wildfire, hurricane, drought, storm surge or collisions; people’s lives change as the world changes. We are all driven by our own needs and organizations are no different. Thus, they may go bankrupt to avoid the consequences of a disaster. Meanwhile, injured parties must seek aid from other agencies. Importantly, when an organization avoids responsibility, they may not learn from their mistakes. Fines and jail time may not fully address the injured’s needs. No amount of compensation can return their lives to pre-disaster conditions or bring back their loved ones. The impact of climate change feels endless. We hope for an end to the severe weather events that assail our way of life. Thus, we must adapt to survive. While we work to reduce greenhouse gas emissions, we still must adapt. Thus, we will need to do a range of actions to protect our communities. These include higher dams, sea walls and coastal defenses, moving away from flood prone zones, and other innovations. As in curling, we must adjust for random stones to avoid unwanted outcomes. Governments and companies are not solely responsible for reducing fossil fuel use. Thus, no matter what we believe about climate change, we need to act. Therefore, this is a personal responsibility and a matter of survival. We need to adapt to the changing climate and, where we can reduce our greenhouse gas emissions. Further, we must take these actions in our personal lives, and in the way we run our organisations. Above all, we need to educate ourselves and learn from the lessons of others. The climate is changing. Severe weather events occur more often and with more serious outcomes. However, with education, we make better decisions. Consequently, climate resiliency is a top priority and may be key to our survival. Thus, adapting to climate change must become a way of life! We all must act! We are all responsible! You are not alone. We can help. Seek the advice of climate risk and resiliency experts. Do not be afraid to engage in the debate. We all have something valuable to offer. We provide ongoing commentary on these issues. If you wish to learn more about climate, risk, and resiliency, sign up for our monthly newsletter, or to our weekly blog. Or, contact us, we are always happy to discuss your climate, risk and resiliency. Vice-President & CFO at Nodelcorp Consulting Inc.
Joan is a specialist in governance, education and risk management with over forty years of professional practice.She is committed to helping clients achieve their organizational objectives and goals through holistic risk management.